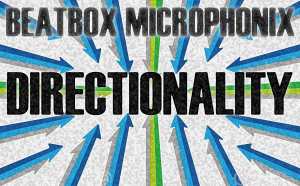 TyTe explains directionality in this first part of a series looking at the difference between microphones. I often get asked, "What is the difference between a Shure SM58 and a Shure Beta58?" Well, apart from a pile of cash, they have different characteristics. The first characteristic we are going to look at is the Directionality of microphones. 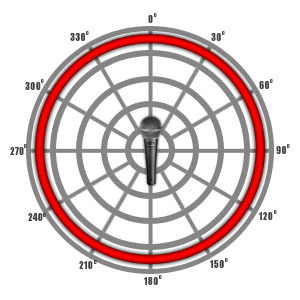 Every microphone has a specific Pick-up Pattern or Polar Pattern. As we will see, this has nothing to do with the snowy imprints of large, white, seal-eating bears! Not all microphones pick up sound from different directions equally. Some microphones are designed to pick up sound from all directions, others are designed to pick up sound from the front and sides, whereas others are designed to pick up sound from the front and back. So we say that a microphone has a Directionality. Each type of directionality can be shown with a diagram and this diagram is called a polar pattern. The polar pattern diagram is easily expressed as a symbol and this symbol is usually printed on the side of the microphone! We are going to look at each type of directionality, learn the symbols on the microphones and explain why we need microphones with different polar patterns! 0o = North, 90o = East, 180o = South, and 270o = West. Clip-mics - usually clipped to a shirt or lapel of presenters on stage or television - are omnidirectional. They pick up sound from all directions. It does not matter which way the microphone appears to be pointing - the sound pick-up is the same. However, they are susceptable to wind noise (the noise created by breath hitting the diaphragm of the microphone) from one direction. To prevent this, clip mics are often clipped upside-down so the top of the microphone is pointing away from the mouth of the person! Because omnidirectional microphones pick up sound from all directions, they are particularly susceptable to picking up the sound from loudspeakers or stage monitors and this can cause feedback. Cardioid microphones are sometimes called unidirectional. This means they mostly pick up sound from one direction (the front), some sound from the sides, and none from the back. It is by far the most common type of directionality found on stage microphones. The Shure SM58 and Behringer XM8500 both have Cardioid pick-up patterns. Because Cardioid microphones do not pick up sound from the back, they are used where the sound amplification is coming from in front of the performer, such as stage monitors or front-of-house speakers. I'll say more about this later in the article. Hyper-Cardioid microphones are often used for stage or instrument applications where you want to isolate the sound from the sound of voices or instruments either side of you. 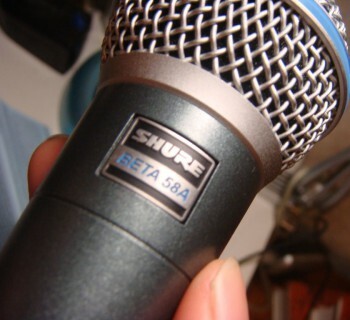 An example of a hypercardioid microphone is the Shure Beta58. They are great for situations where you need to pick up sound from two sources but do not want unwanted sound coming from the sides. For example, a microphone placed between two instruments or to capture a conversation between two people on a busy street. If there is one enemy of beatboxers then it is feedback. Feedback can ruin a gig as well as the ears of the people standing close to the speakers! Feedback is caused by the microphone picking up the sound from the speakers. The sound loops around the system and each time it is amplified. This is why feedback starts off quiet and then gets louder. Feedback often occurs at a pitch, tone or note that depends on the size and dimensions of the room (this is called the rooms resonant frequency). 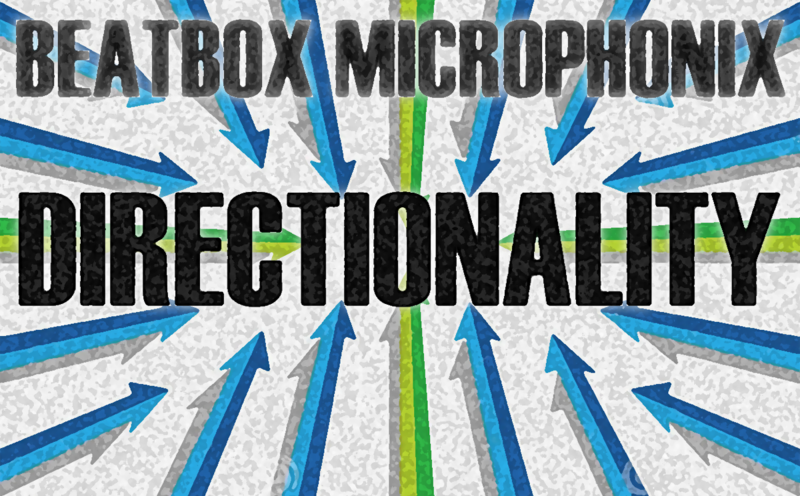 Cupping the microphone with your hand or fingers (as we beatboxers often do) has a dramatic effect on the directionality of the microphone. Rather than restricting the directionality, it actually widens it! For example, if you cup a Shure SM58, it turns it from a cardioid/unidirectional microphone to an omnidirectional microphone. This means that it now picks up sound from all directions and will pick up sound from the speakers or stage monitors. This is why cupping the mic may make it ring or squeal. 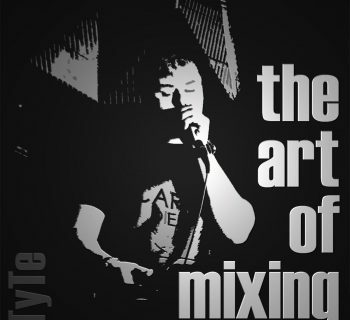 So, it becomes a balance between the extra punchiness/loudness you get from cupping the mic, and being prone to feedback. It is also important to match the microphone that you are using with the monitoring system that is used. Because omnidirectional microphones pick up sounds from all directions, they are prone to feedback. Hypercardioid micrphones are more directional and are less prone to feedback. 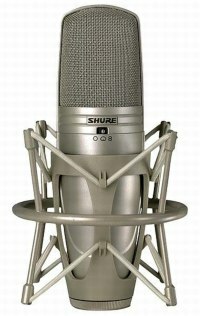 In fact, in many situations you will find the Shure Beta58 feeds back less than a Shure SM58. Think about where the sound is coming from and what the pick-up pattern of the mic is. Imagine you turn up to a gig and the on-stage monitors are at each side of the stage. Will you use your SM58 or Beta58? I am always being asked which mic is better - so please, no more emails! Better is subjective. It depends on application - what are you going to use it for, how you are going to use it, and where you are going to use it - and your budget. If you would like more information then check out the Techniques section or search the forums.